Juan Calaf is a community-based architect/planner with more than 15 years of experience in community planning, participatory design and green affordable housing development. He has engaged deeply in a variety of innovative community development projects, facilitating “end-user” participation to engage stakeholders as planners and problem-solvers for their future neighborhoods – from visioning, to documentation, to implementation. He has worked as a project manager, advocacy planner, group facilitator, and green technical assistance provider in Los Angeles, San Francisco and Puerto Rico. Currently Juan is a planner working on transit-oriented development planning with Sound Transit – Central Puget Sound Regional Transit Authority. Before moving to Seattle in 2014, Calaf spent 3 years as an Enterprise Rose Architectural Fellow in Puerto Rico engaging in both community-based housing development and advancing the role of participatory design in creating a new model for affordable housing. During the first half of his fellowship, he worked with a non-profit housing developer on a HUD202 senior housing project and a LIHTC funded multi-family housing project. During the second portion, Juan worked with a redevelopment agency known for its commitment to implementing a housing relocation effort as part of a large-scale environmental remediation plan. 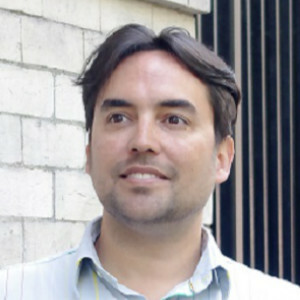 Among other roles, he facilitated participatory design charrettes for multi-family housing, conducted public outreach, secured project funding and managed a team of staff and volunteers to create community design guidelines as part of a comprehensive development and land use plan with ENLACE, a community land trust in San Juan. While in Seattle, Calaf has contributed his design skills to creating a response to the Sound Transit RFP for the Capitol Hill TOD project, which includes over 300 units in three different mixed-use buildings. He is currently at Rolluda Architects focusing his efforts on the restoration of The Louisa Hotel; an 84-unit mixed use project in the Chinatown district of Seattle. Juan is a graduate from Syracuse University School of Architecture.